This evening I made a delicious and easy "mostly roasting pan" meal. 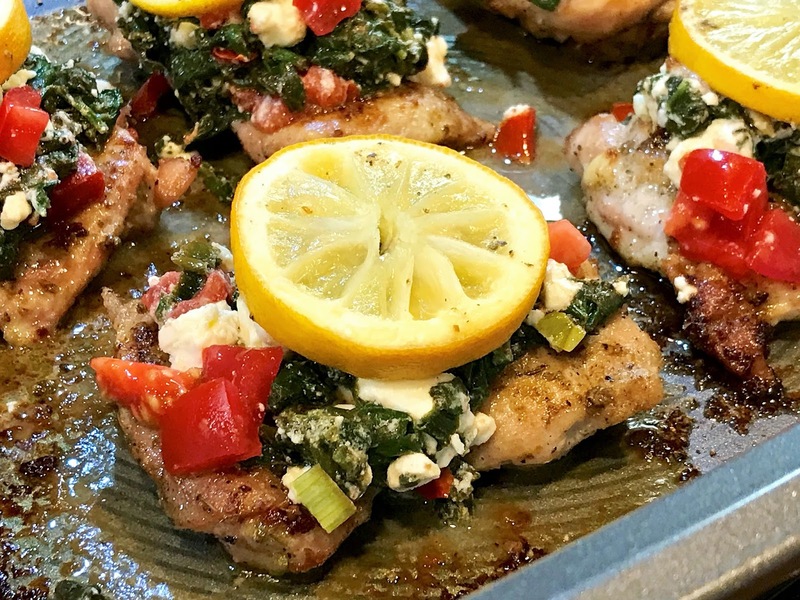 While the chicken was roasting, I prepared a quick stove-top spinach feta topping to top the chicken with near the last part of roasting. It was so flavorful and simple to make. 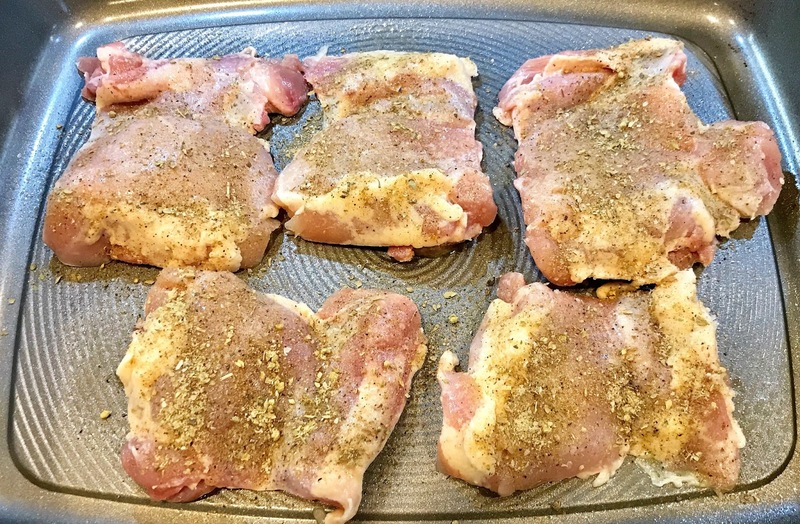 I had a 2-pound package of boneless skinless chicken thighs. 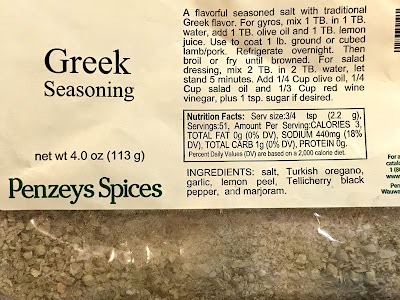 I spritzed them on both sides with olive oil and seasoned both sides with Penzey's Greek Seasoning. I placed them top side down on what used to be the skin side so they would begin browning and caramelizing a bit for flavor. I topped each thigh with a slice of lemon and baked them for 20 minutes. 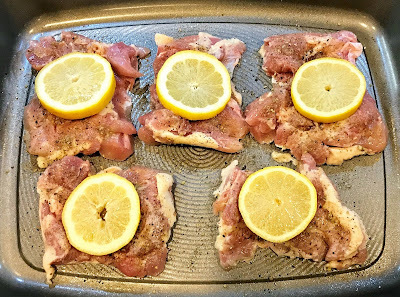 I removed them and flipped them over, placing the lemon slice back on top to flavor the chicken and help keep it moist, and roasted for an additional 15-20 minutes. 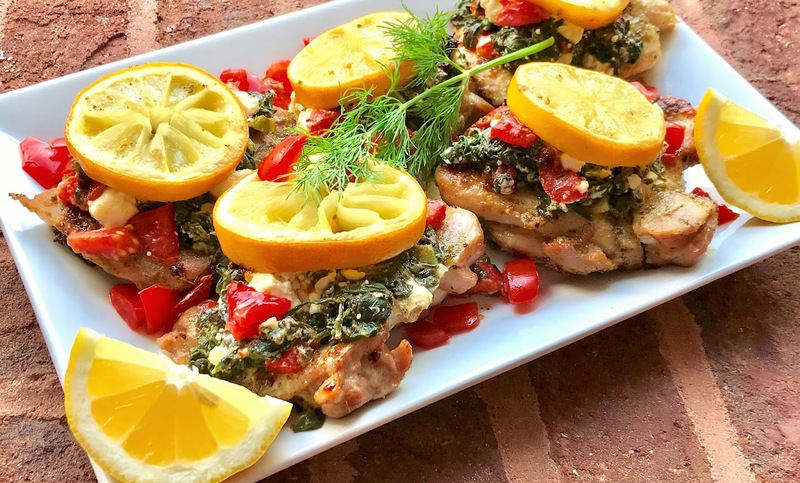 While the chicken was roasting, I quickly wilted 8 ounces of fresh organic baby spinach in 1 tablespoon of olive oil in a skillet on the stove, then set it aside to cool off. 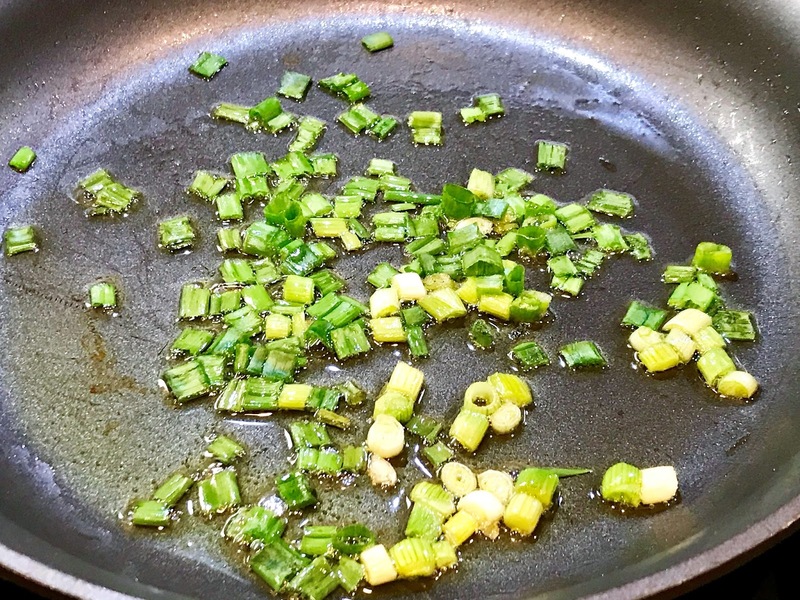 I then cooked 3 sliced green spring onions and sautéed them in another tablespoon of olive oil in the same skillet until tender. I pressed the excess liquid out of the cooked spinach and then coarsely chopped it. 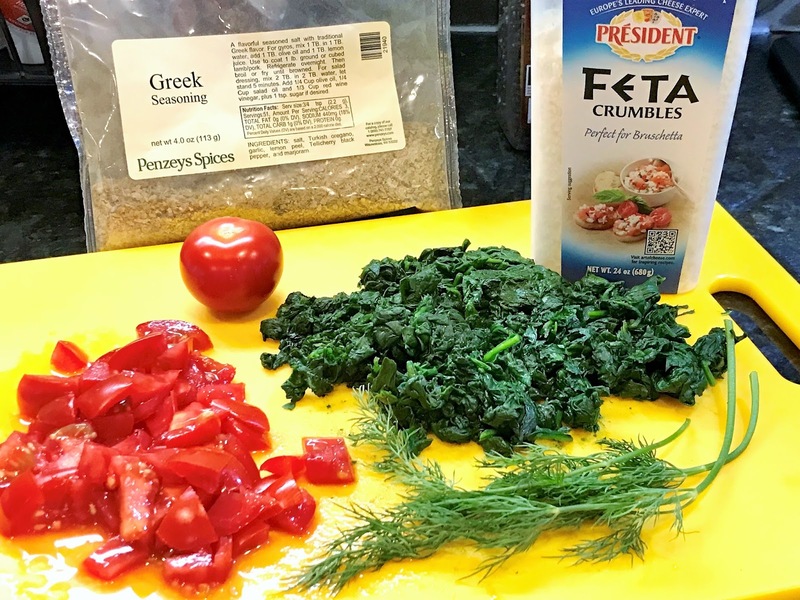 I mixed the chopped spinach, cooked green onions, 1/2 cup crumbled feta cheese, 1 tablespoon fresh lemon juice, 1/8 teaspoon salt, generous grind of black pepper and 1 tablespoon snipped fresh dill together in the same skillet I sautéed the spinach and onions in. I added another 1 tablespoon of olive oil and then stirred in 2 small diced Campari tomatoes to the spinach mixture. 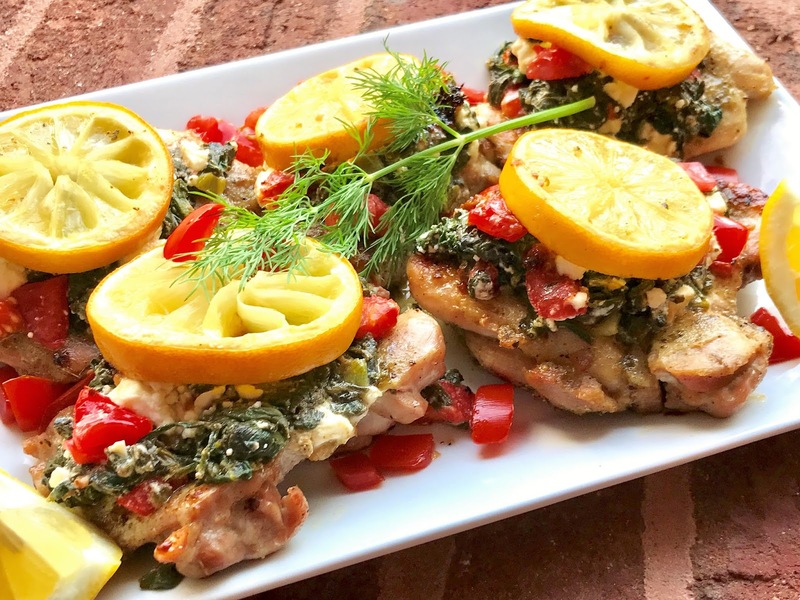 I removed the chicken from the oven and then divided the topping among the 5 pieces of chicken and put a generous scoop of the spinach-feta mixture on top of each piece of chicken and then placed the slice of lemon back on top of each. I roasted everything together for another 5-7 minutes. It was so delicious and roasting the chicken with the sliced lemon on top gave a strong punch of lemony flavor to the chicken...so if you are not a lemon lover, you may not want to use the sliced lemon on top while roasting. We loved it. I snapped a few photos below. Enjoy! This looks delicious. What a terrific and easy idea. I will make it this weekend and I know it will be a hit with my family. Thanks for sharing! 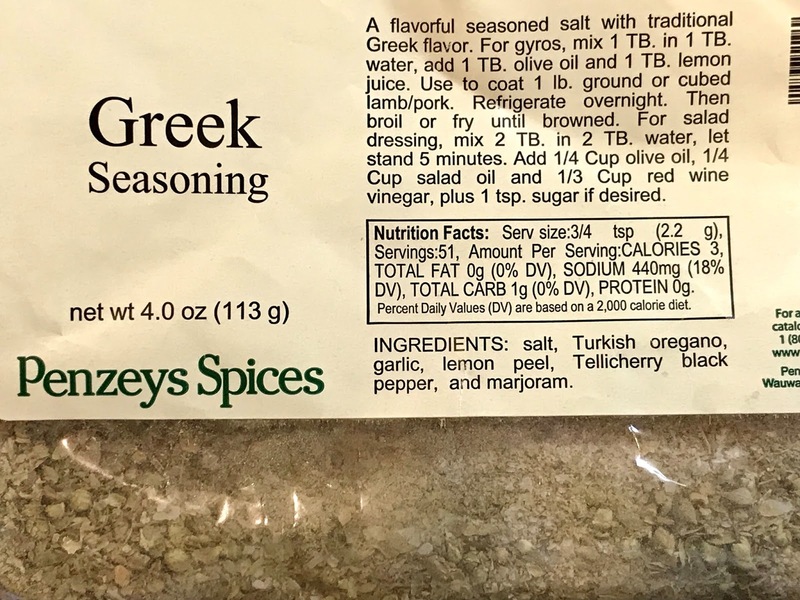 Can you provide the nutrition information, please?